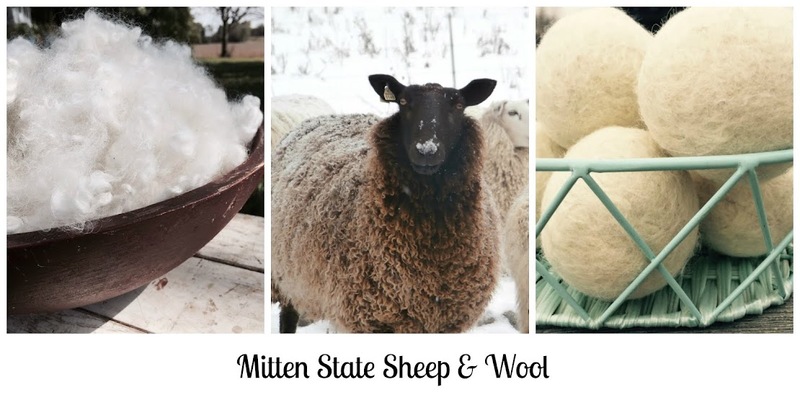 Mitten State Sheep and Wool : Autumn Happenings! Is it just me, or does time seem to speed up during this time of year? I have thoroughly been enjoying the warm weather and I am hoping that it last! The sheep have been enjoying lazy grazing days. Not much need to beat the heat so they have been more active. I mentioned that that the girls talked us into market lambs for fair, next year. That means earlier lambs. We put a few of the Tunis ewes in with the Ram. We use a Ram Harness, it marks the ewes that are bred so we can keep track of who and when. Just thought I would explain, in case you were wondering about the red marker on their wool. They are making hay this week, we are very excited to be getting a third cut this year. Hopefully, we will find enough room in the barn. It is getting a little crowded! You can tell it is Autumn, the taller grasses in the pastures are dying off, the soybeans are turning shades of yellow and our lovely corn hedge is changing color. I love the corn that grows in the field across the road, it is like having our own personal privacy fence along the front of our property! It is taller than I ever remember it being. Good year for the crop farmers! I always miss it when it gets harvested. I hope you are all enjoying Autumn as much as we are! Looks like your fall is off to a Good start. That's great for a third cutting of hay. We don't have enough land to grow crops (yet), but we are surrounded by soybean and corn. The farmer's are starting to take the beans out. We lease some of our ground to farmers for row cropping. 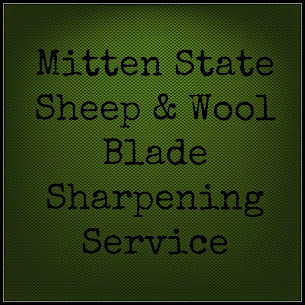 We don't do any ourselves. This time of year always goes by far too fast.........enjoy every moment! I am trying to remind myself to slow down and enjoy it! The sense that time goes faster in fall may have something to do with not looking forward to what comes next. You know that old adage, time flies when you're having fun. I think it applies to autumn. It's such a glorious time. And then it's winter. I hope it sticks around for a while! We always used a marking harness for our ram during breeding season when we had sheep. It was hard to get it on just right, but we liked knowing when to expect the lambs. It is great that you are getting a third cutting of hay. It has been a good year. It can be interesting trying to put the harness on a Ram. We usually have to adjust it a few times, but it does help knowing when the ewes are going to lamb. Great photos! And thanks for the info on the hay and the marking - I love learning new farm facts. Jaime, Thanks for visiting! You have a beautiful blog!